D-Link DIR-895L is recently launched by D-Link as their latest flagship product. As this is a their most expensive router, it is fully packed with all the latest technology such as wireless AC5300 and MU-MIMO compatibility. The router remained the same design as the previous flagship DIR-890L and DIR-885L which is not a bad thing as the design itself is great. The difference here is this router comes with 8 antennas like all AC5300 routers such as Asus RT-AC5300 I reviewed a few months ago. The antennas on this router are removable unlike those on DIR-890L. 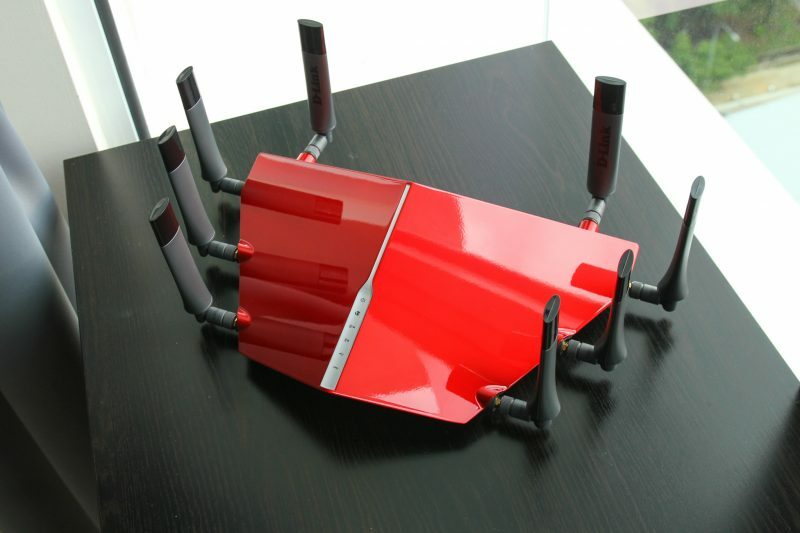 I like the design of this router as it is rather elegant and not overdone. The glossy o range top looks really good in a modern household. On the back of the router, you have your typical Gigabit Ethernet ports and 2 USB ports with one of them being USB 3.0. The LED indicators are on top of the router. The router come with a 12V power adapter. Having a good hardware on a router is crucial but the firmware running on the router is equally as important. The firmware on the DIR-895L is decent and well designed. The interface is user-friendly and easy to navigate around. Configuring your network is just a few clicks away and you probably do not need to see the interface again as the firmware is really stable. On my testing, I do not have any issues with the firmware. D-Link added iQoS which is a new application based (Quality of Service) QoS mechanism on the DIR-895L. I not sure how it works but it seems to work well when I configured gaming to the highest priority. On my test, it seems that the router is able to prioritise my gaming session. Streaming videos on other devices affect my gaming latency less with iQoS enabled. Moving on, the router comes with various useful features as well. You can share your USB device on your network. Another handy feature will be the Quick VPN. It creates a VPN connection so you are able to VPN to your home securely when you are abroad. In short, I would say the firmware is well designed. Everything works fine without an issue. D-Link strikes a good balance between features and user-friendliness. It got all the router things right with a really user-friendly user interface. However, it lacks some value added features such as printer sharing and torrent downloading which the competitors offer. Advanced options are kind of limited as well. It will be great if the router allows more control for certain networking aspect. I understand D-Link stance on this. They want their products to be user-friendly and most users will not use the features anyway. D-Link DIR-895L is fully compatible with Unifi and all ISPs running on TM infrastructure such as Maxis Fibre.The review is conducted on the 1.12 firmware which is the latest firmware available at the time of the review. You have to insert the VLAN IDs manually. It is compatible with Time Fibre without additional configurations required. 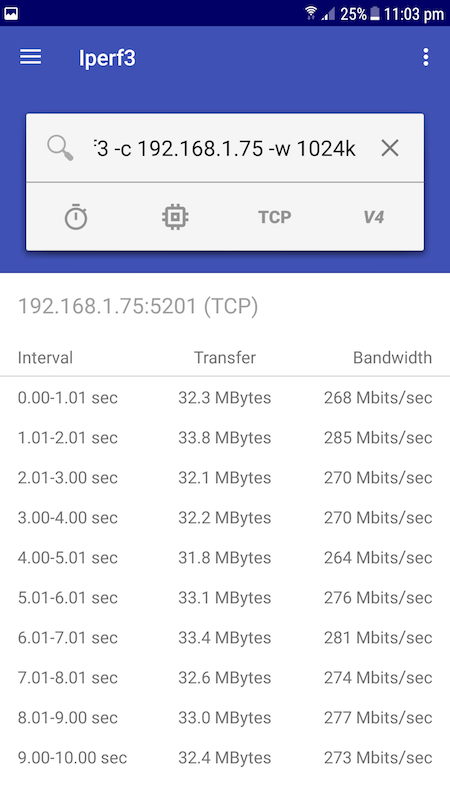 To set up this router for Unifi, navigate to the Settings tab and select PPPoE for your internet connection. 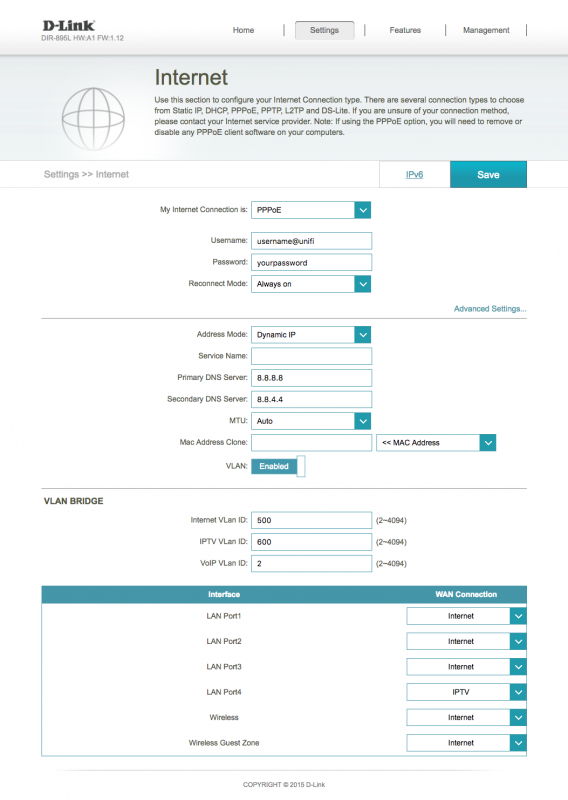 Click Advanced Settings and enable VLAN. You just have to fill in your information according to the image above. 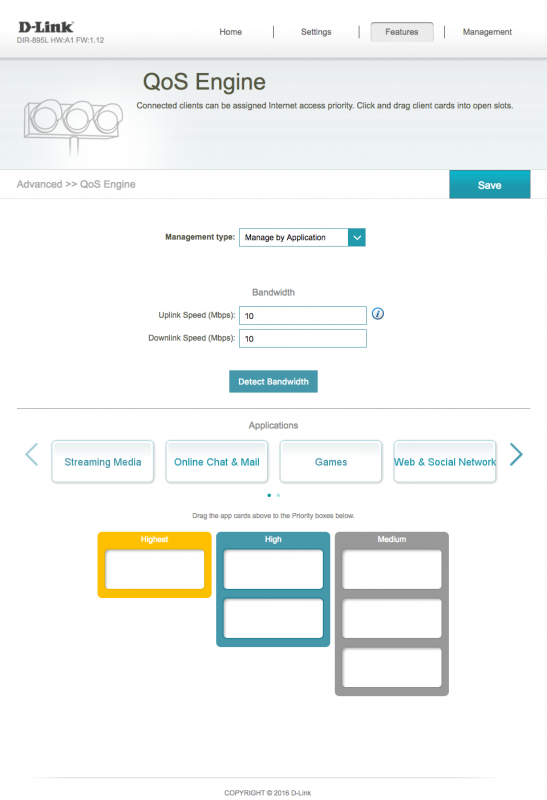 The good thing on D-Link routers is you are able to select which port you want for your HyppTV IPTV. Performance is where the DIR-895L truly shines. 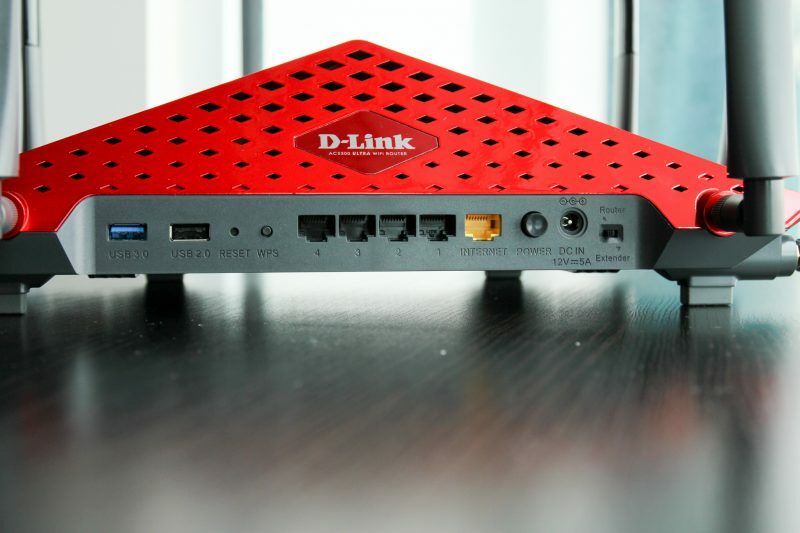 It is the latest flagship router from D-Link and it definitely able to perform well. The router comes with the latest Broadcom chipset so you can expect the highest performance among consumer routers. It is definitely able to handle a lot of tasks you throw at it. D-Link DIR-895L is an AC5300 wireless router, it is obvious that this is a tri-band router. You can either configure the router in the usual tri-band mode with 3 separated SSID (wireless name) for each band or just enable the smart connect feature. 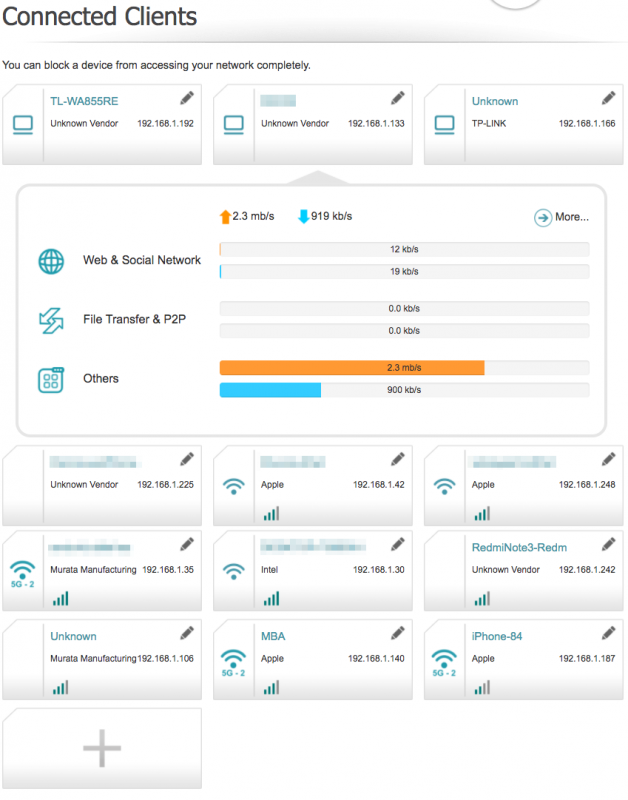 I recommend enabling the “Smart Connect” feature as the router will automatically force your wireless devices to the most suitable wireless band according to the signal strength and the amount of clients in a single channel to avoid congestion. I like this feature a lot as it automatically forces my devices to 2.4Ghz or 5Ghz according to the signal strength. There’s a switch behind the router which toggle between router mode and repeater mode. I doubt anyone will use a such expensive router as a repeater as all the abilities will be wasted. On the performance side of things, this is a seriously fast router. On my usual test with my Macbook Air, I am able to achieve the peak 600Mbit/s wireless throughput over short distance. Nowadays, most routers above RM500 are able to peak the 600Mbit/s figure which my Macbook is capable of. What sets them apart is the stability and the range of the signal. I will probably acquire a better test hardware soon. In longer distance through a brick wall, I am still able to achieve close to 300Mbit/s on the 5Ghz band. If you have a fast internet connection, I highly getting a wireless router with good wireless ability like the DIR-895. It is able to ensure that you get the full performance over wireless and not just Ethernet. I decided to test the wireless ability with my Samsung Galaxy S7 Edge as I believe a lot of wireless devices are actually smartphones and tablets. Interestingly, I am able to achieve a decent 280Mbit/s. The router comes with 2 USB ports at the back with one of them being USB 3.0. You can use the USB ports to share your USB storage device on the network or over the internet. On my testing, the USB file sharing performance is rather good and I am able to achieve 40.3MB/s read and 28.5MB/s write on my usual NTFS formatted external hard disk via Gigabit Ethernet. Moving on, there are some cloud features on this router which allow the sharing of the USB devices over the Internet. The feature is rather basic and it allows you to remotely retrive your files over the internet. A full fledge cloud storage service like Dropbox is more practical and faster. D-Link DIR-895L is undeniably a really powerful router. Despite having the same design as the previous flagship, it wasn’t an issue as the design is beautiful and practical. 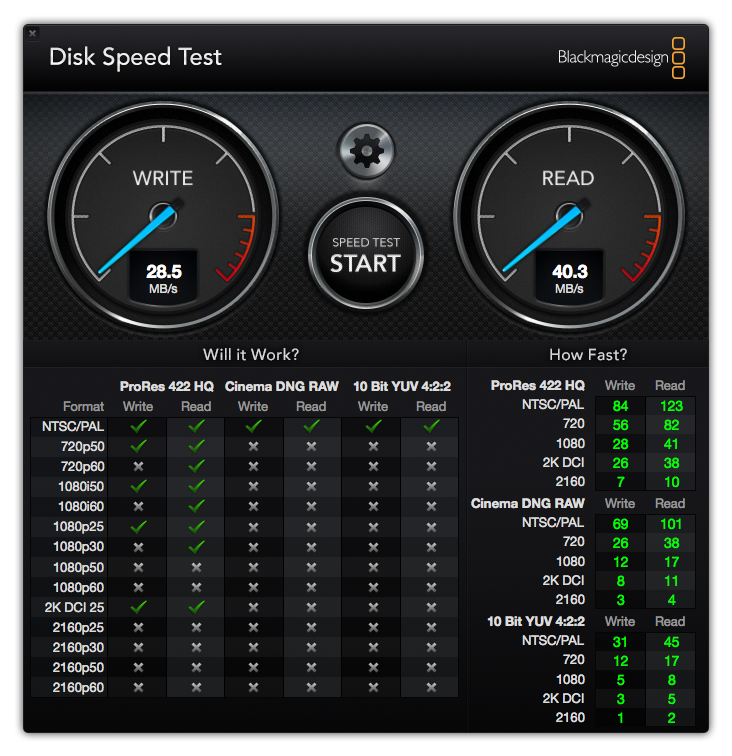 Performance is nothing short of spectacular on this router. It supports the latest MU-MIMO wireless standards and a combined wireless throughput of AC5300. The wireless range and the performance is great with the tri-band design and smart connect feature which automatically assign your devices to the most suitable wireless band. It is definitely a future proof router and it will last you for a long time. However, if I am paying this much for a router, I will expect more than just a good piece of hardware. 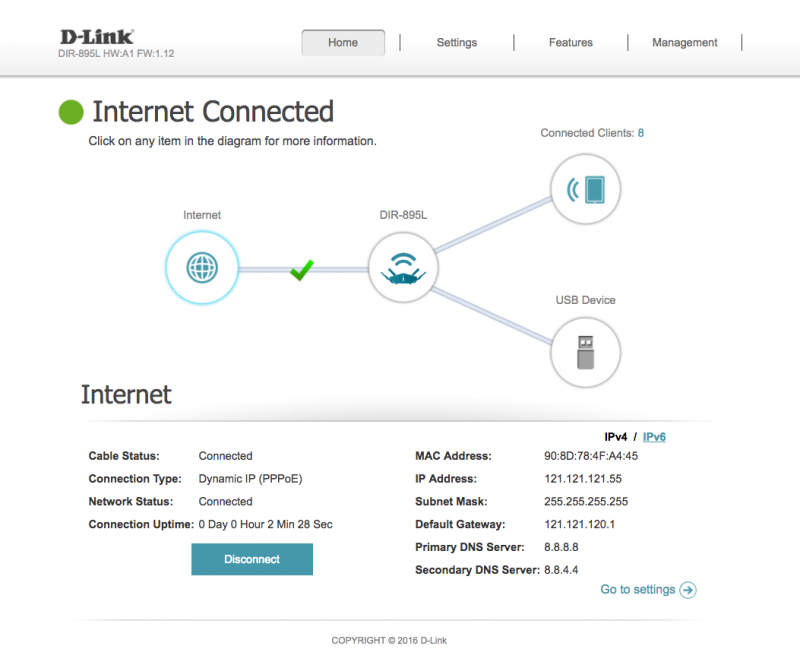 D-Link introduced a few welcoming changes such as the application based QoS on this router. I hope the firmware development continues and more features will be added in the future. In short, I recommend this router for those looking for a high performance consumer router. For other Wireless AC5300 reviews, check out my review of the Asus RT-AC5300.